Today’s modern bedrooms are not what they used to be. That’s because our lifestyles have changed, most directly due to the proliferation of technology. Our ability to tap into the world wide web around the clock means that we are more likely to work and even socialize online from anywhere, and that includes our bedrooms. And as our bedroom usage changes, so does the furniture we need to suit those uses. That’s why many people are now incorporating media chests into their bedrooms. Media chests are large and sturdy enough to hold a television, cable box and other television components, while still offering the standard storage options as the traditional dresser. 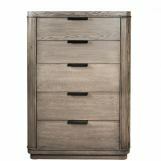 Bedroom Furniture Discounts has the chests you’re looking for at the best prices anywhere. In addition to media chests, we have everything from toy chests to gorgeous chests meant to flatter your hallways or any other room in your home. And with literally thousands of options, we are sure to have something to fit every style and budget. Consider adding a media or other chest to your home décor today. They are a beautiful way to add convenience and style to any living space. If you’re unsure what type of chest would best suit your needs, give us a call today and let us help with your selections. You can even use our “chat” feature to chat with a furniture expert right now. If you’re ready to give your home a burst of life, a stunning chest from Bedroom Furniture Discounts might be just what you’re looking for. Take a look through our vast inventory today! You’re sure to find the perfect chest to suit your home.